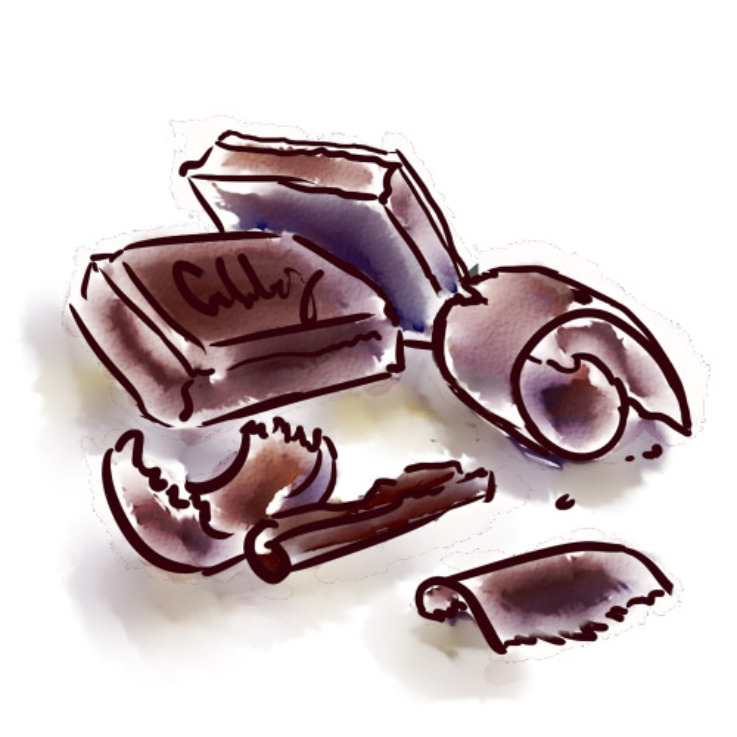 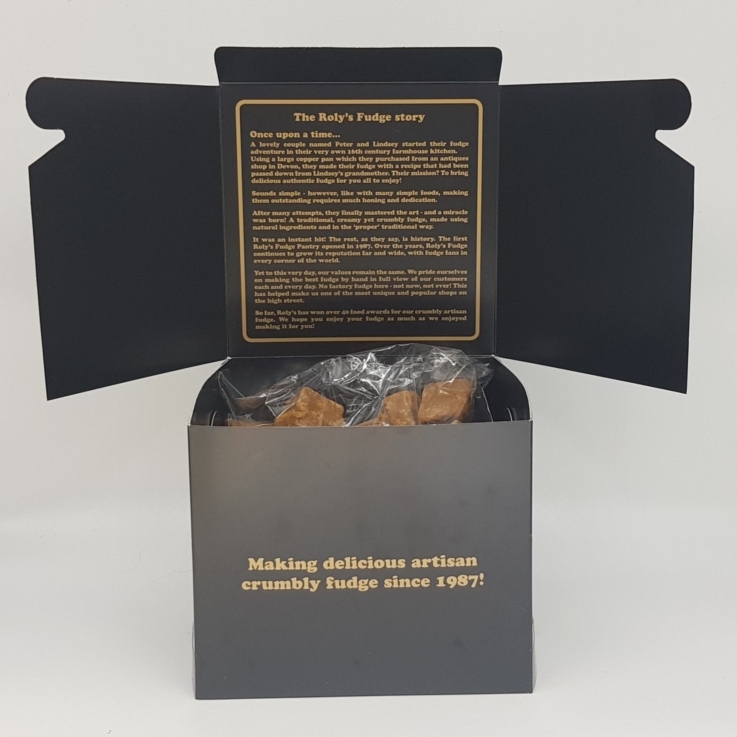 Our 600g 2019 selection box contains our two award-winning handmade fudge flavours – Vanilla Clotted Cream Fudge and Salted Maple & Pecan Fudge. 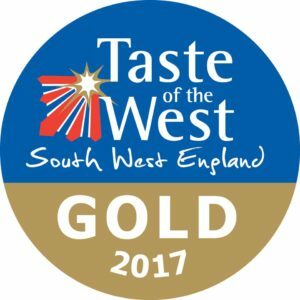 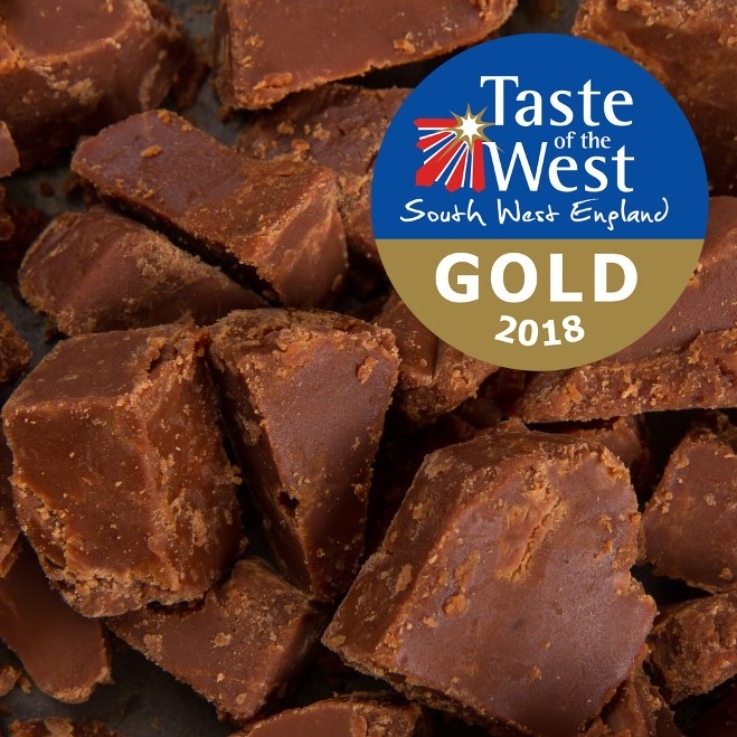 Upgrade to a 900g box and you’ll also be treated to Chocolate Fudge, winner of Gold in 2018 from Taste of the West. 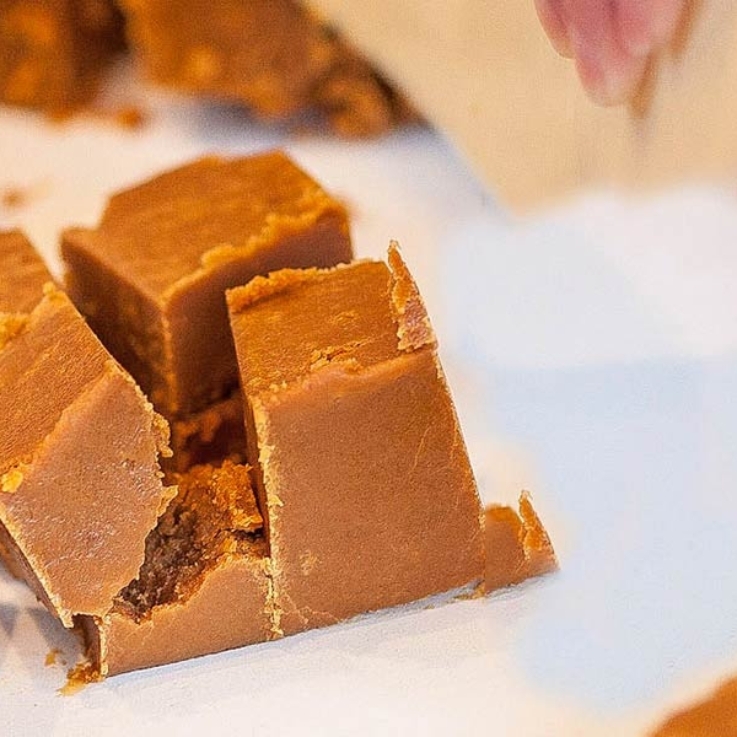 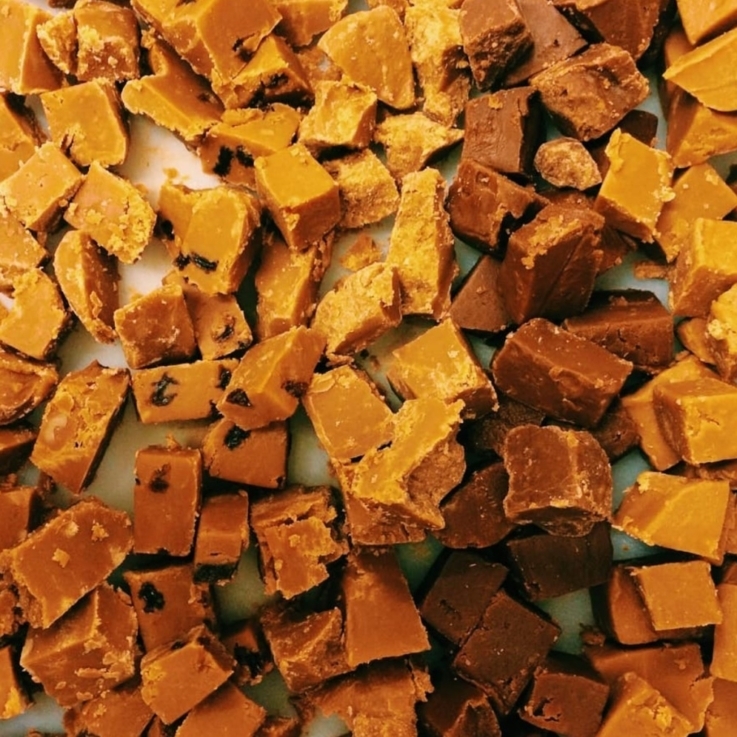 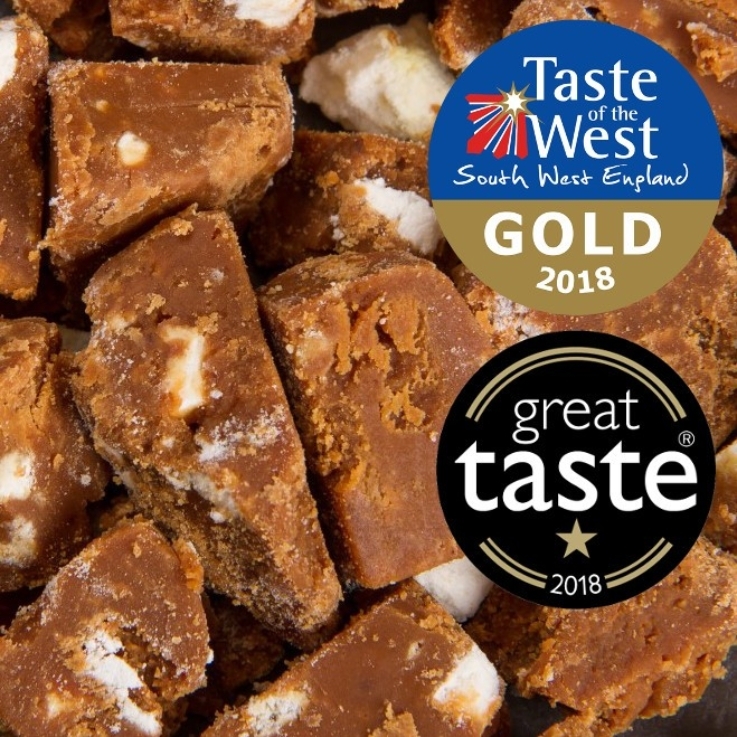 Upgrade to a mega 1.5kg box and not only will you receive Chocolate Fudge, but also Lemon Meringue Fudge and Honeycomb Fudge, each winning awards with Taste of the West Awards in 2018. 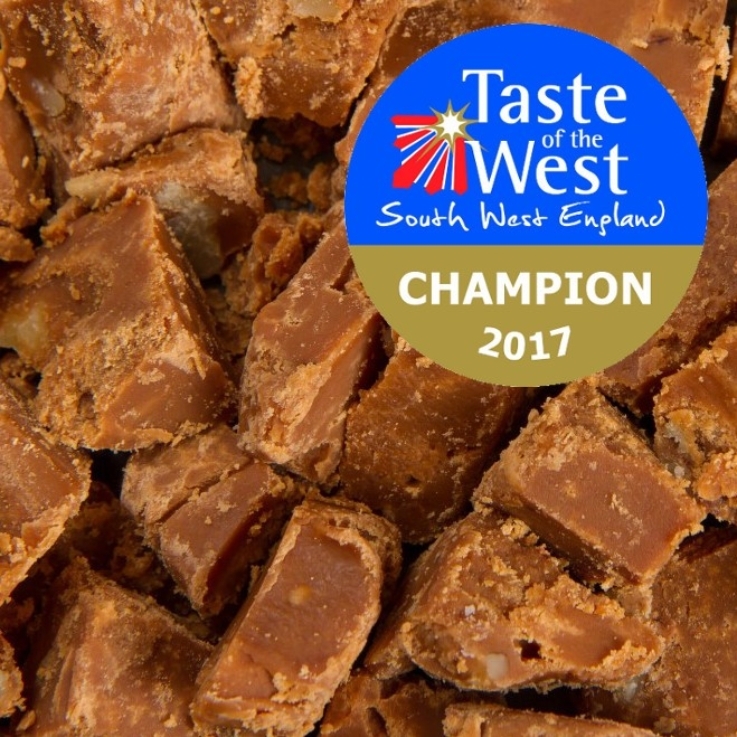 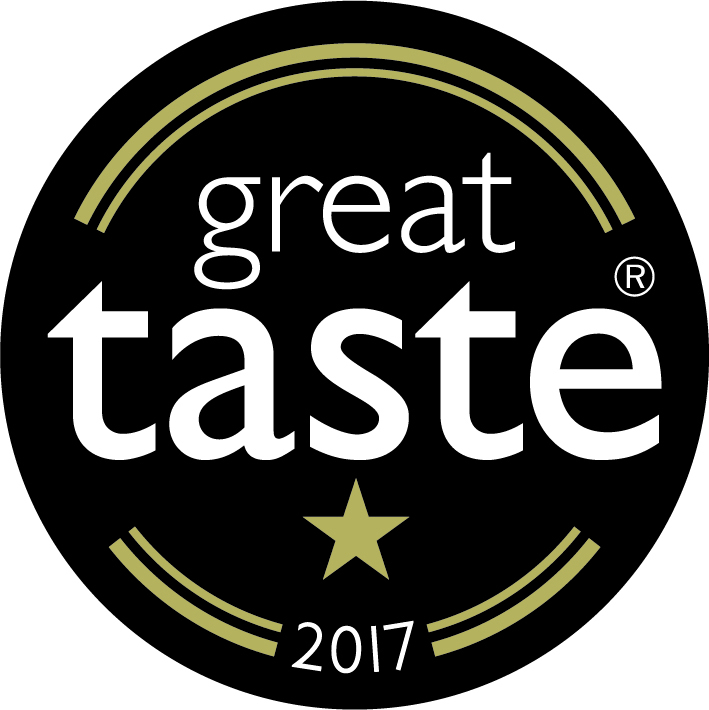 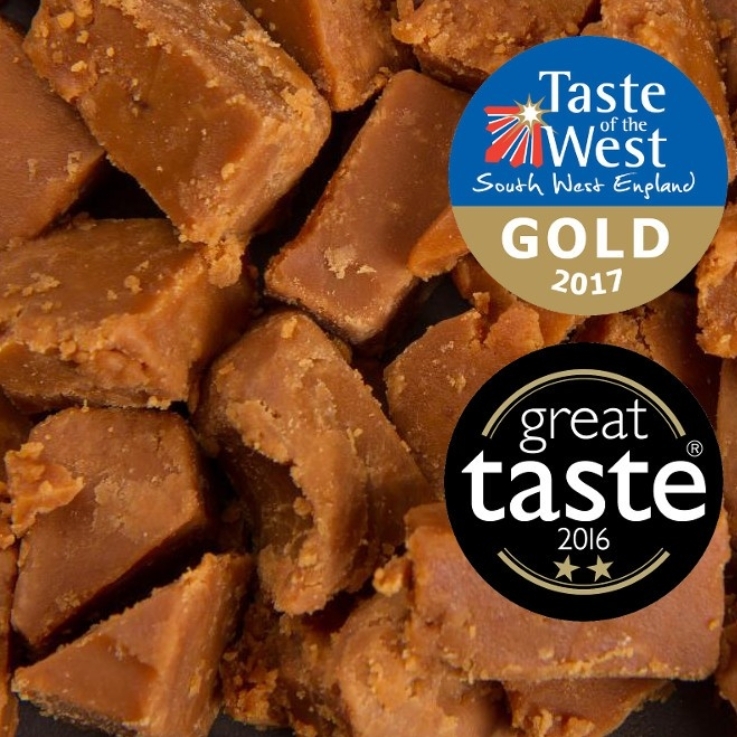 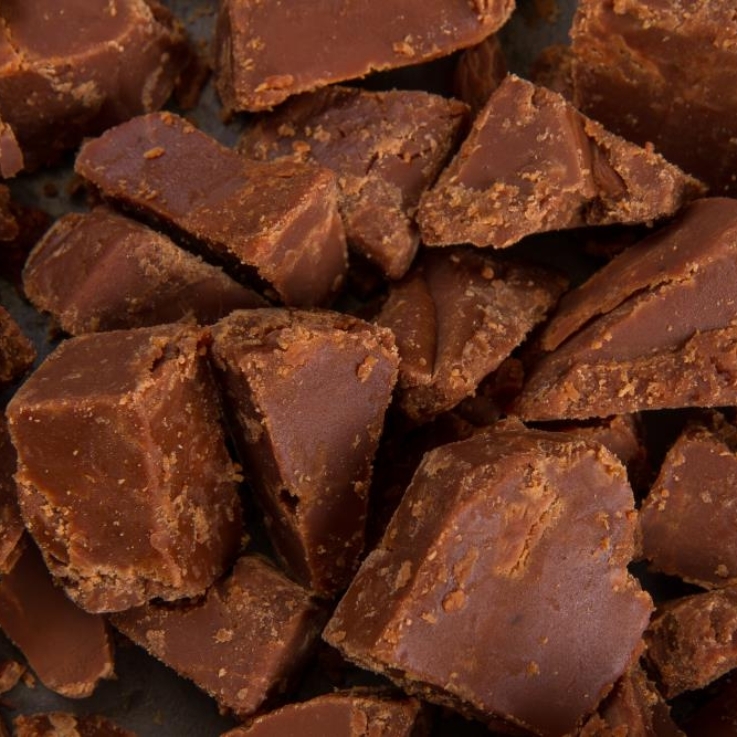 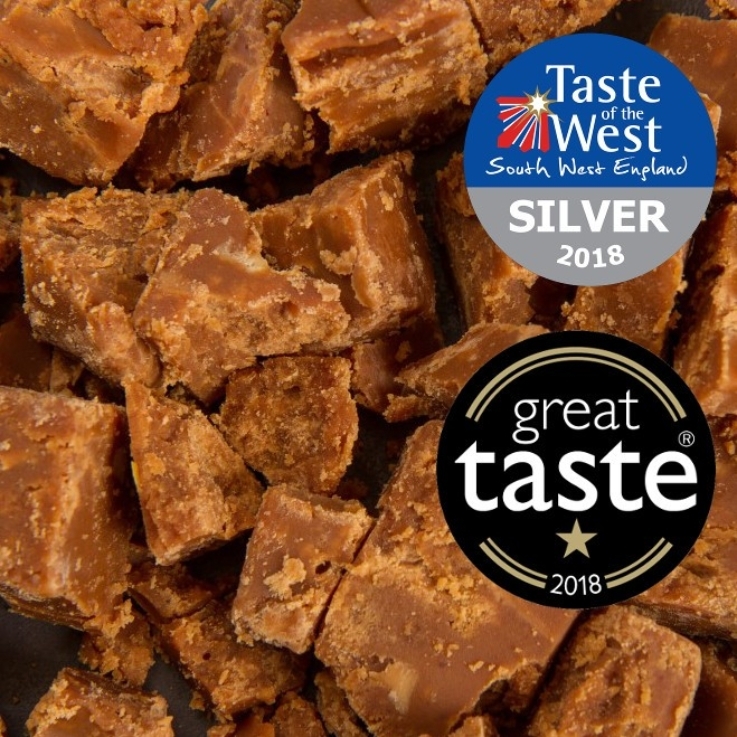 Our Salted Maple and Pecan Fudge is the Champion Confectionery product for 2017, placing it as the top Confectionery product in the South West. 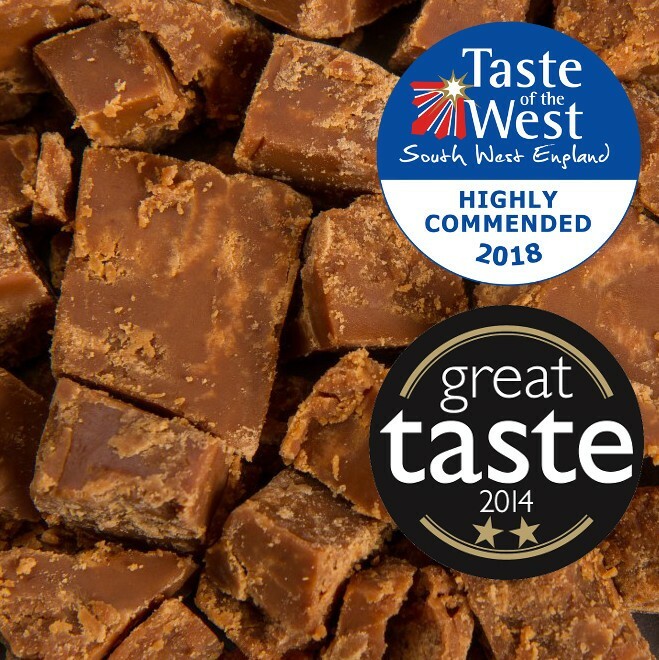 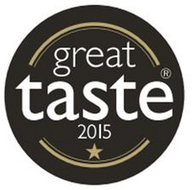 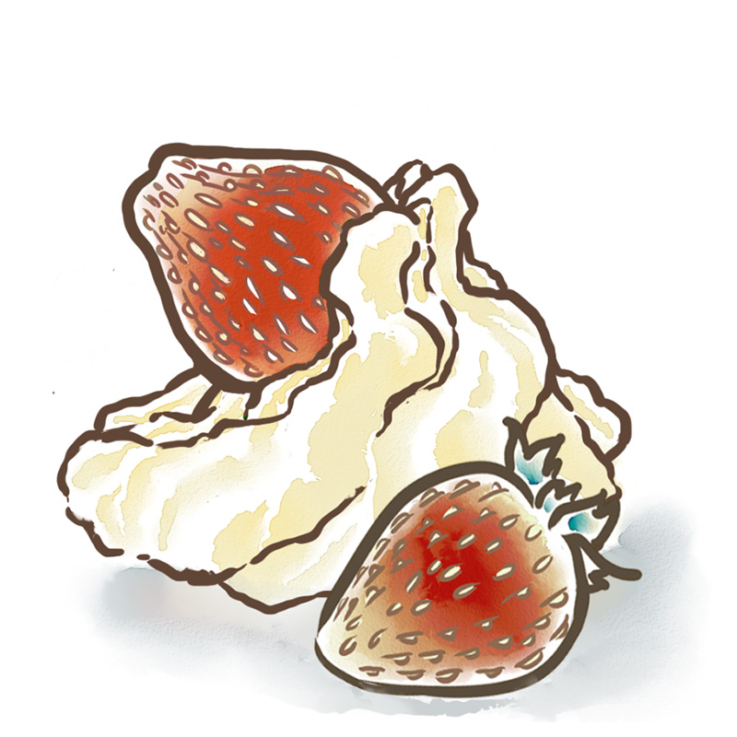 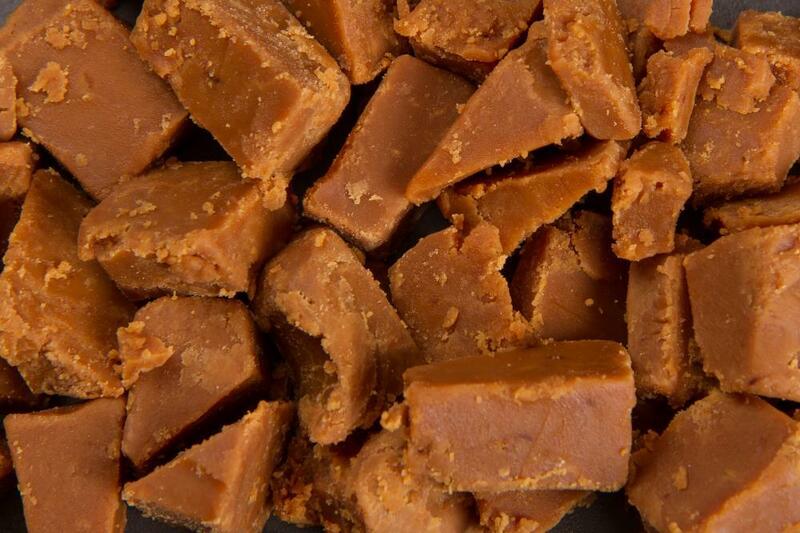 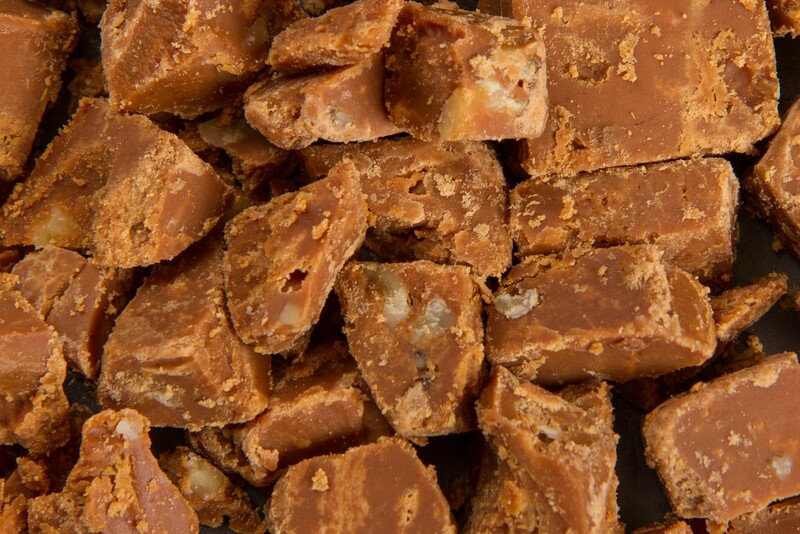 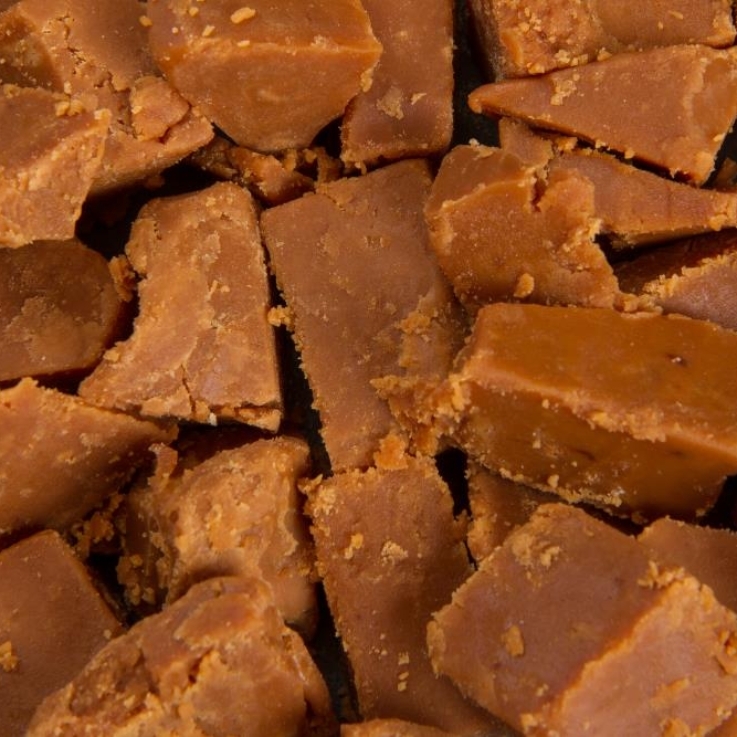 Our Vanilla Clotted Cream Fudge has won multiple awards over the years. 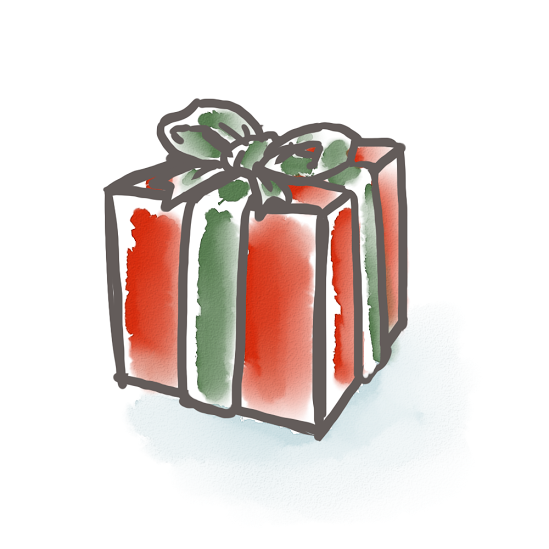 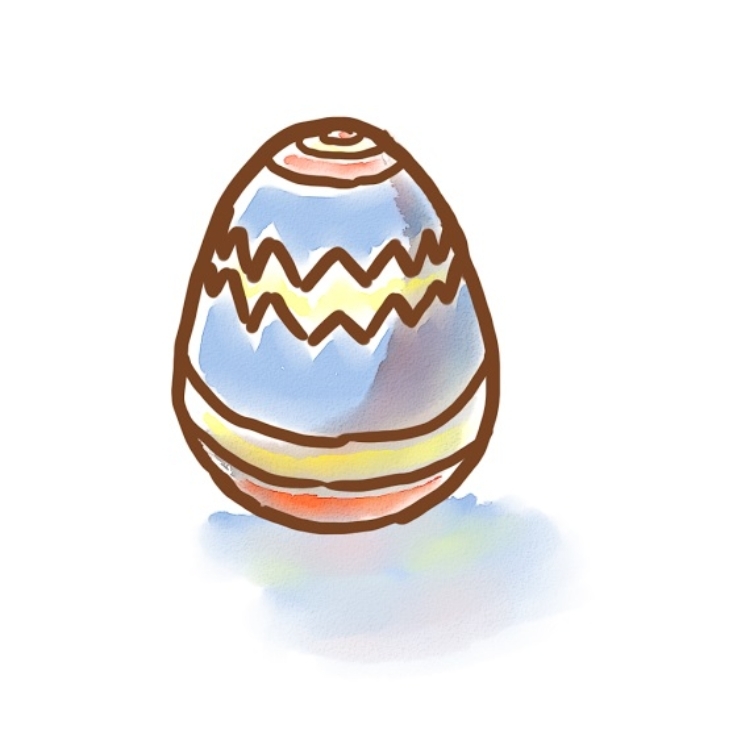 The box is available in 300g, 600g, 1kg and 1.5kg, and comes handwrapped with the colour wrap and sticker of your choice. 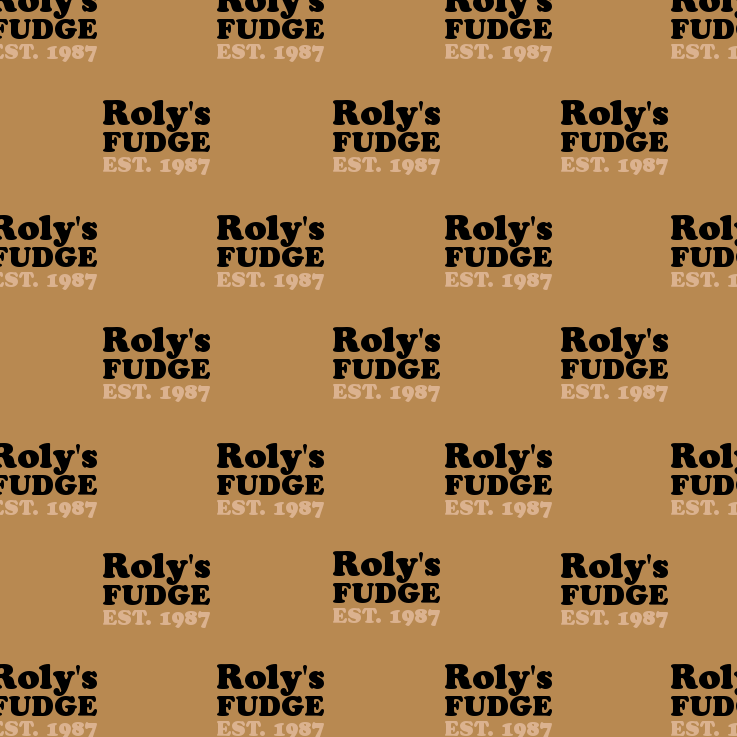 Our 900kg and 1.5kg sizes are available in a Roly’s Choice luxury black box.